KG Property Services Are here to find a solution to your property problems. Whether that is directly or by sign posting you. KG Property Services are not only property agents - we actually own & manage many of the properties we let out. KG Property Services (For Tenant) provide both rooms and whole property rentals in a mix of property types, to include houses, apartments and other forms of property. Quite often these are available on flexible tenancies, including both long & short term rentals. KG Property Services(For Owner/Landlord) Maybe able to offer you a guaranteed income for your property at no cost to yourself, whether it is tenanted or not. This can be for a pre agreed period of time(1-5years or more). This is very useful if you are planning to go away for pleasure, work or any other reason for a prolonged period of time. It maybe because you no longer want the financial burden of looking after a property. 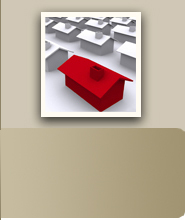 We fully manage the property, at no cost to yourself and provide you with a guaranteed income. This long term approach can then be merged with purchase of the property. See below. Quick house sale to allow you to move elsewhere or simply to free up your capital to allow you to move on with your life. Clear your exisiting debts and either sell your house and walk away or allow you to remain in your property as a tenant. This is done quickly & discreetly, without any for sale boards or anyone, including neigbours, knowing about your change of circumstance. KG Property Services (For Service Providers) Are you looking to secure a property on a long term lease ? Speak with us about this service.